Australia's finest Cartoonists, Caricaturists, Magicians, Tattoo Artists, Tarot Card Readers, Face Painters, Fire Jugglers & Entertainers specialising in corporate events, functions, weddings & workshops. 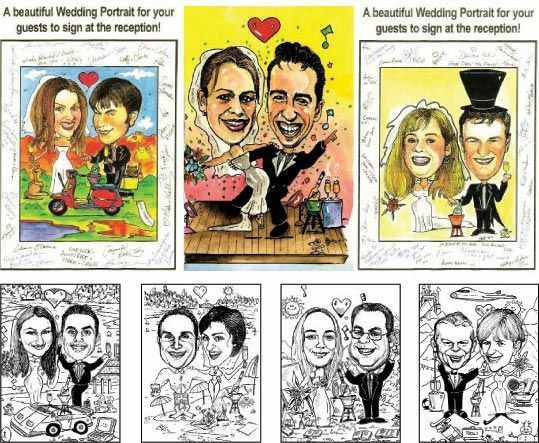 Have you ever thought of getting a Cartoonist to draw & entertain your guests at your wedding? Your friends & family will be amazed with our unique form of entertainment. 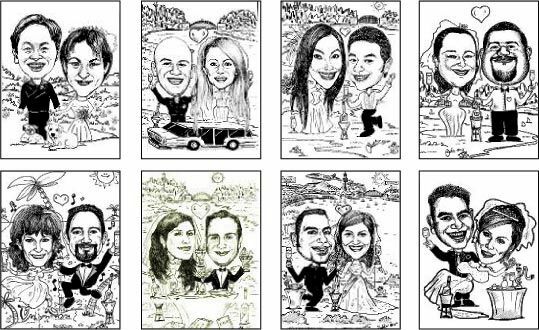 Caricatures make a lovely personal thank you gift for the guests to take home as a memento of your wedding day. A wonderful gift for your interstate & overseas guests. This is another very unique idea. We use recent photos of the bride & groom & draw a Caricature of the couple in traditional wedding attire. It is then painted with watercolours onto A4, A3 or A2 paper & mounted onto a white border for signing. It includes the black & white original artwork. The Caricature can then go on display at the entrance to the reception for all the guests to see & sign a message around the border. 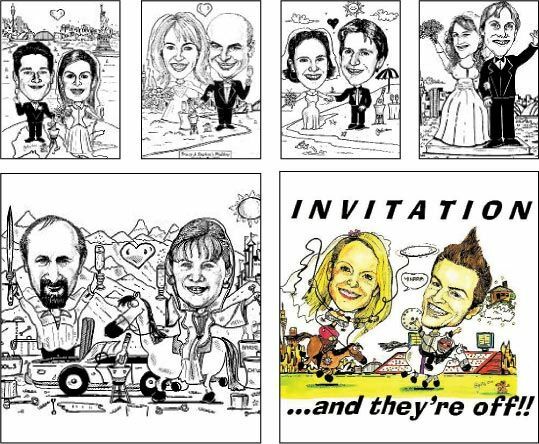 The original black & white Caricature can be reduced down & printed onto the wedding invitations, thank you cards, menus & any of the other wedding stationery. Please ring the office to make an appointment to come into the studio to see hundreds of samples of our work including wedding invitations. 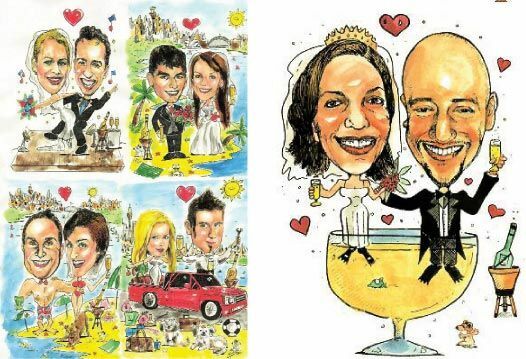 We come to your wedding and draw Caricatures of the guests. 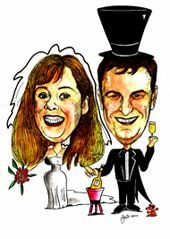 We can also supply a large colour Caricature of the bride and groom to go on display at the function for the guests to sign around the edge as they arrive. The Caricatures only take approx.. 3 minutes per person to draw and the Caricatures can be used a as a form of entertainment as well as being a nice take home bombonieres.